THE MAKING OF A CHAMPION ! 1 Comment on THE MAKING OF A CHAMPION ! 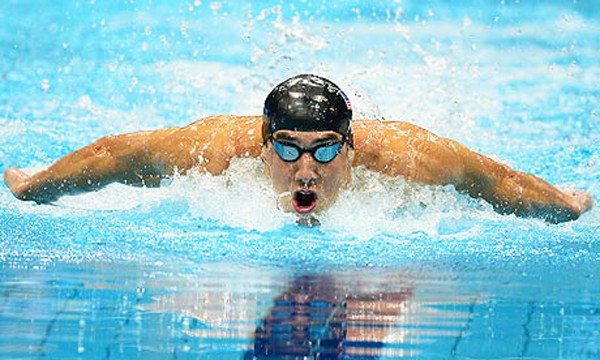 ( Michael Phelps. Mary Kom. Abhinav Bindra. Roger Federer. Saina Nehwal. Tiger Woods. 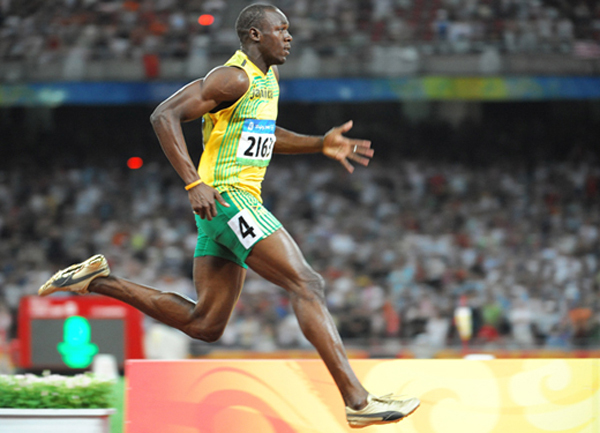 Usain Bolt. US basketball team and Chinese gymnasts. These names and teams and some others over the coming weeks will dominate headlines as the London Olympics heads for a dramatic finish. There will be tears of joy, of triumph and success, coexisting with the despondency and even depression of failure. Four years of strenuous preparation, perhaps over in a flash of a transitory 10 seconds. It can take a huge emotional toll on ordinary mortals. So what really is the mental constitution of champions? What makes them different? And can you be in that exclusive league yourself?) . The legendary tennis player Andre Agassi’s father told him that to be a champion you have to hit a million tennis balls back and forth, with the least amount of breakage time in between. The young brash brat of a teenager embraced that exacting routine with expected reluctance. But a few decades later, the Las Vegas born Andre, once christened as a flamboyant punk rock-star, the classic game’s irreverent iconoclast, was to quit tennis amidst poignant moments at his favorite city of New York in the US Open with an enviable collection of eight grand slam titles under his belt. Agassi received a standing ovation from his team-mates in the locker room , each perhaps at some point his animated adversary across the nets during a roller-coaster but exhilarating career that spanned 19 years. A thousand miles away, a determined young man with myriad colorful dreams to inspire him, was beginning his own journey of life. In his hand, he held a cricket bat, and a pair of wicket- keeper’s gloves. On April 2nd 2011, a country of a frenzied billion people waited in breathless anticipation for a historic moment to arrive. In 1983, a beleaguered nation battling domestic terrorism, crippling economic growth and a gargantuan inferiority complex witnessed a magical moment when Kapil’s Devils ,against Himalayan odds, lifted the cricket World Cup at the haloed Lord’s in London. It made a nation believe in itself. And miracles. Now 28 years later, one man waited, concentration personified, as Nuwan Kulasekara came into bowl to him, still hoping for some extraordinary divine intervention that would get Sri Lanka off the hook. It was not to be. Because the man crouching with a bat at the other end was Mahendra Singh Dhoni. India’s captain. A man clearly on a mission, oblivious of the cacophonous din inside of the Wankhede stadium, and of the nervous millions in front of television sets. As Dhoni lofted the white ball for a mighty six, a billion eyeballs followed its near-perfect symmetrical journey into jubilant stands. The rest , to use a cliché, is history. 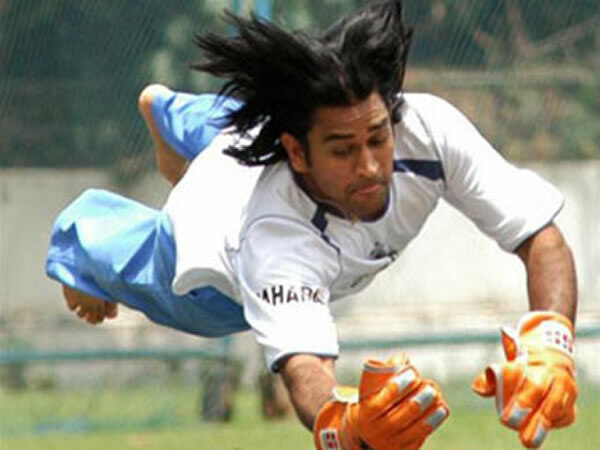 Dhoni was once a ticket collector at the Kharagpur railway station, more famous for its Indian Institute of Technology than a backyard for sporting excellence. But unwavering resolution, a gritty attitude and incredible temperament had seen him scale amazing heights. The World Cup win was one among them. A nation erupted into euphoria, and cricket, India’s most secular religion , was once again binding the poor laborer in Bihar with Bollywood’s heartthrob Shah Rukh Khan, the software programmer in Bangalore with the diamond merchant from Surat. Even the usually taciturn Prime Minister of India Manmohan Singh let flow the eulogies , as young children sang Sare Jahan Se Accha Hindustan Hamara ( Better than the world , my India). Agassi and Dhoni are two amongst several superstars who have achieved remarkable successes in competitive sports, where form, fitness, injuries, weather, travel schedules and stubborn crafty opponents burn the midnight oil to defeat your well formulated plans. Where every game is a new challenge, and where you are told with candid remorselessness, that you are as good as your last outing. On a daily basis , there is a recurring test of one’s human endurance, those hidden vulnerabilities, as they push themselves to redefine effort and success at every moment. And every time one succeeds, the benchmark rises even higher, as do public expectations. It is one thing to have a fluke victory , quite another to win 17 Grand Slams as Roger Federer has accomplished; being crowned a champion as the number one seed , when your victory is seen as a foregone conclusion by many is a lot harder than creating that earth-shattering breaking news of an upset win. It is that sheer predictability of effort that also distinguishes India’s batting maestro Sachin Tendulkar. Tendulkar could have been mistaken for an impetuous teenager who had mischievously circumvented his way onto the cricket field when he made his celebrated debut. As Waqar Younis’s lethal ball made a bloody mess of his innocent face, many wondered if that scary experience would nip a career in the bud. Was he perhaps introduced to the hard as nuts world of international cricket at too tender an age of sixteen ? Twenty years later, Tendulkar stands on the verge of an extraordinary record, seemed impossible even by incorrigible optimists; a 100 official centuries in international cricket . Needless to add, but Tendulkar has been the country’s most respected role-model for several years, inspiring Indians into believing that one can conquer Himalayan heights with great resolution and will-power. “ I am happy, yes, but never satisfied,” has been amongst his most popular quotes. Given his insatiable appetite for runs, it is quite palpable what he meant. Like the great basketball player Michael Jordan of Chicago Bulls who made NBA into a league with world-wide followers, Tendulkar has impacted cricket across national boundaries. Remarkably, he remains as unassuming as ever. It is a champion’s trait. Superbrat John McEnroe began playing tennis at the age of eight, and the desire to conquer the brutally competitive world of tennis was ingrained in him early. Even after a glorious career that ended with seven Grand Slams in the bag, McEnroe’s enthusiasm for the sport has been unflagging. This may sound far-fetched , but even in innocuous exhibition matches in the retired veterans circuit , McEnroe plays to win. “ I haven’t figured out how to enjoy losing,” he told Sports Illustrated magazine. “ As you get older, the pain of losing gets greater”. Noted. Lance Armstrong’s mother told him, “ never quit”. It was a simple message that was driven home deep inside the cyclists’ heart as he covered the back –breaking distance of 2200 miles in the grueling Tour De France with prodigious energy and perseverance. It is almost impossible to imagine anyone who has suffered multiple cancers to achieve such sporting greatness. It is indeed a spectacular story of faith. That inner belief that separates us all. Armstrong may have come under accusations of failing dope tests, still inconclusive, but he has handled even that ignominy with tempered equanimity. There are many who rightfully ridicule Tiger Woods for the recent embarrassing aberrations in his personal life. The lesson that one learns from Wood’s cataclysmic downfall is that assuming infallibility can be a grievous error, even off-field. Even the greatest amongst us has their human susceptibilities which can suddenly upset the well-laid rosy plans. Bill Clinton, considered to be one of the most charismatic President’s of America could never really overcome the damaging disclosures of his private affair with Monica Lewinsky in the White House, easily the most powerful office in the world in a post-Cold War era. Woods is perhaps gone through a hellish experience, his personal life in virtual tatters, his professional career taking a precipitous nose-dive relative to his astonishing standards. But it is interesting to remember that 85% of Wood’s college wins when he was making his mark came after he was even or trailing behind in the final round. His former coach Wally Goodwin credits a lot of that to “ mental toughness and bodily strength”. Interestingly, even his most bitter rivals in the PGA circuit have not written him off. He is after all the comeback kid. Superstars are made of a different mettle. They believe in their abilities to fight back, resurrect themselves. 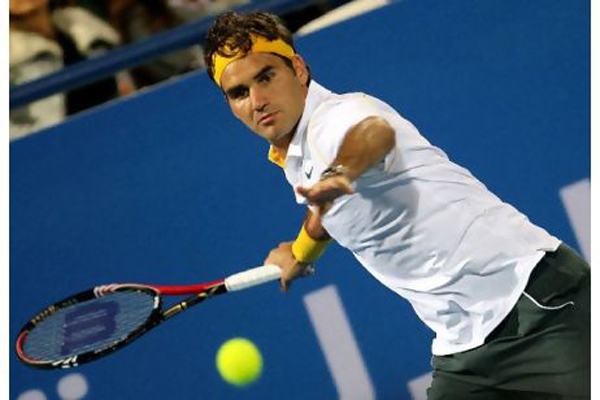 Like Leander Paes, India’s 12 doubles Grand Slam winning sensation. When Paes met me in my office many years ago he seemed as fit as a fiddle. No one could have ever believed that he had just survived a brain lesion. But he had. He has since gone on to win Grand Slams in doubles, proving that it takes a lot of courage and strength to overcome difficult odds. The kind perhaps Serena Williams went through recently when she stepped onto shreds of glass, and worse, when she had a lung infection that tested her survival parameters itself. And then went on to win Wimbledon 2012. Or the ongoing battle of tennis legend Martina Navratilova against breast cancer. There never can be a more effervescent dashing entrepreneur than Richard Branson. A man on a mission and supposedly possessing that coveted Midas touch; truth is that Branson works tirelessly to earn that elusive magical touch. But whether it is with airlines, music labels, mobile phones, or even space flights , Branson has pursued his dreams with an inimitable zeal. Once he sets his mind on goals, he is quite literally a trend-setter, a trail-blazer. But what stands out is his collected , calm demeanor in the face of difficult times. And he has had many. Such as the near-death experience over the Pacific Ocean in his daredevil flight in a gas balloon. Even as several of his ventures went through turbulent times, he hung in precariously, but refused to surrender. Virgin is one of the most powerful brands in business. So what makes these achievers into our superstars, our role-models, our inspiration for the future. Doubtlessly, there are various aspects of their performance, character, upbringing, work ethics and beliefs that make them unique. It is fallacious to believe that they have never failed or did not encounter onerous difficulties or are an inborn genius with a headstart or were born with a silver spoon in their mouth. When confronted with demanding situations, they did not treat them as insurmountable. They took the bull by the horns. And mostly overcame the oppressive odds. Failure for all of them was never a bad word. We can take a look at the exciting careers of sportspeople, business entrepreneurs and political leaders, and some others from assorted fields such as entertainment and media to understand what distinguishes them from ordinary mortals. But therein lies the catch. There are hidden amongst us vast unknown teeming multitudes of seemingly ordinary people the same familiar characteristics that make Tendulkar, Federer, Pele, Barack Obama and Lee Iacocca different from the ilk. Often, we ignore the basics in search of some esoteric excellence. It is time for introspection; are we belittling our own potential greatness? Every one of us can discover our own strengths while ameliorating on our inadequacies. The best news is that it is possible , often beginning with a deep inner-view, often described as quiet introspection. So what are some of the common denominators that encapsulate our superstars? Trail Blazers: Successful people accept themselves. They are open to learning everything they can about their area of endeavor but once they have done this they do it their way. They go beyond imitating others. They create their own style. The perfect example is India’s “Helicopter Man”, cricket captain MS Dhoni who has led India using his own innovative methods, defying the time-tested ways to achieve outstanding results. The world’s richest man Warren Buffett learnt everything he could about investing and then created his own approach. Rafael Nadal took physical prowess and a panther-like speed to a new level in the sublime game of tennis to set up a classic rivalry with Roger Federer. Dream Driven: Superstars pursue their own dreams and passions. They are willing to sacrifice today for tomorrow. They don’t get dragged down by all the distracting details of our lives. In 7 Habits of Highly Successful People, the late Stephen Covey talks about how you need to always spend time on your big goals and dreams—do these first or at least find a way to fit them into your day. They do not get carried away by short-term success, neither are they overwhelmed by temporary setbacks. Undaunted: Successful people are not afraid of change. They are willing to change direction and try a different route. They know their limits and don’t take huge risks but aren’t afraid of it either. In some ways they don’t see it as a risk. This may be a form of confidence. They also don’t worry about failure. Thus while the world dissects their downsides with a fine surgical instrument , they move on unperturbed pursuing their long-term goals. Persistent:They keep going no matter what happens. They are humble and don’t expect to always be successful. If obstacles occur they see it as a challenge. They just keep their eye on the ball. Above all, they acknowledge the vicissitudes of life, its unpredictability. They also understand that circumstances are rarely tailor-made for us to anoint our personal goals on. They make things happen, often deciding the follower’s path through unwavering consistency in their belief that there is no substitute to hard work and perseverance. Ever-Ready: They bring out their A game when it counts. This does not happen magically but is a result of being prepared. This is sort of like the drills that rescue groups do. They are prepared for that moment when they must step up and deliver. This includes recognizing the moment and being able to totally focus on the moment and then letting their years of experience and practice take over. They run the mock-situations that they are likely to interface regularly, never taking anything for granted. Thus, when the moment of trial and tribulations arrive, they are ready to face it with cool aplomb. Energizers: They are able to energize those around them to pursue their dreams. They listen to people, motivate them, help them and bring out the best in them. They also learn from small mistakes and take lessons from opponents and critics. They are self-driven, and their constant search for excellence is infectious leading to a high team performance. It is also an acknowledgement that no matter how brilliant one may be, a singular effort can be limiting in the absence of positive support from all around. Flexible : The ability to adapt has been the hallmark of superstars. There is a singular lack of rigidity, and an openness to ideas. Sachin Tendulkar despite his many runs works hard at the nets , as if a rookie player about to make a debut. The willingness to learn against different kinds of opposition and surfaces is a continuous process. Leaders usually encounter fluctuating fortunes in their career; it is their ability to resurface that usually makes them stand out. Usually, it is their flexibility that explains their ability to bounce back, and absorb the shocks of transient failures. Never invincible : They never live in a land of illusions and are thus perpetually “ grounded”. Truly successful superstars are usually humble, their unassuming demeanor often their biggest draw. They realize that no one is infallible, or at least that even the greatest must fall once in a while. Their attitude to life is based on pursuing excellence irrespective of temporary setbacks. They seek excellence, and even as they do script brilliant success stories , they never take their laurels for granted. Clarity of vision : Superstars have an uncanny transparent vision of where they want to get , there is no ambiguity about their ultimate goal. This helps them always stay on course despite the occasional, if not frequent, hiccups that they experience. The clarity is a function of being both dreamers as well as acknowledging the practical steps required to accomplish them. It is not wishful thinking but the self-belief that the treasured objective is attainable despite a checkered path. Passion : Successful people have an intrinsic passion for what they excel at; fame, multi-million dollar endorsements, power, publicity and record books are a natural corollary of their feats, not the cause of their heroic achievements. What else can explain the relentless barrage of triumphs of Novak Djokovic during an incredible run culminating in a record-breaking five ATP Masters in less than a year, over and above two Grand Slams during the same period and 43 matches won in a row? What made the genius Steve Jobs continue to come up with mind-boggling innovations that have completely altered the phone, computers and music industry and made Apple the most valued company in the world ? The staggering impact of the personal passions of superstars can hardly be underestimated. That old lady is a superstar, a survivor of the Holocaust with a robust attitude to life, unyielding, defiant in the face of adversity. Ordinary, unknown to many, without either fan-fare or publicity, but possessing all the attributes that makes one human being stand out from another. And that someone could also be you. 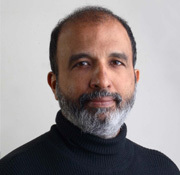 Sanjay Jha is Executive Director, Dale Carnegie Training India . He can be followed onTwitter@JhaSanjay . The above article is part of a book that the author is working on with a leading academic expert . Not sure what Mr Jha is trying to say. All he has done is a snapshots on some great players to attract readers. I got nothing new from this article as I already knew many of the facts and stories mentioned here. I think this article is complete waste of time except when it mentions about Dhoni’s six to win us the world cup. (Will never forget that!!!). Its a shame that Jha is using this forum (COngress party) to write about sports and cricket. A desperate act to garner support for the congress party. Educated people like Jha should rise above their own selfish gain (in this case a possible congress party ticket in near future!!) and work for the betterment of society. But then someone rightly said “Education makes you selfish”!! Next Entry How can a cook or Northeastern student in Pune be culpable for Bodo violence in Assam?